Burmese Rohingya community-BRAT in Thailand approached at UN Office and British Embassy yesterday. Three of BRAT memember delegation had an hour of meeting with high officials of UN and 45 minutes with Political Secretary of UK Embassy. On behalf of Rohingya crisis in Arakan, BRAT handed over a letter to UN Office and British Embassy. 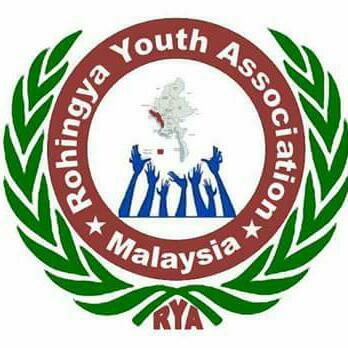 We, the Burmese Rohingya communities in different countries and Human Right NGOs in Thailand would like to express our greatest concern over the ongoing grave situation in Arakan State of Burma that causing death to thousands of Rohingya people. We are sending our most urgent request to you to immediately intervene and protect millions of Rohingya people of Arakan from controlled genocide. Although the current massacre in Arakan State is termed as "sectarian violence" we would like to reiterate that it is a systematic and controlled ethnic cleansing by the Thein Sein government and the fascist Rakhine State government in collaboration with ultranationalist Rakhine chauvinists. The quick deterioration of the situation since 8th June has been unimaginable. It spreads to all the townships in Arakan State. Most of the victims are women, children and elderly people. No one can accurately say about the death toll until a systematic and unhindered investigation is conducted by a third party. However, from the destructions of homes accounted 5,000 and counting, and dead bodies seen on the news and social media, a conservative estimation would be a few thousands. The emergency act 144 (curfew) is still in effect and it is only imposed on the Rohingya so that their planned actions can be carried out unchallenged. Thein Sein government declared that the situation is under controlled, yes indeed, at the absence of foreign media and in effect of emergency act imposed on Rohinyga, systematic ethnic cleansing has been carried out 'under controlled'. Wide spread rapes, kidnapping, extrajudicial killing, extortion, looting, and random killing are rampant. Confiscating businesses and lands were officially declared by the Arakan State government on 27th June in Sittwe. Relocating Rohingya communities in Sittwe, that were not heavily impacted by the attacks, to a remote area has been carried out without providing adequate shelter and food. That proves fascism in action. All the actions of this racist government and continuous violence by the security forces in collaboration with Rakhine fanatics prove that the planned ethnic cleansing will continue until they can declare Arakan State as "Muslim-free". 1. That the UN takes immediate action to stop the genocide and the ethnic cleaning by deploying UN peace keeping force to Arakan to protect innocent people. 2. That the UN sends a commission of inquiry to assess the situation and to take necessary measure to protect the lives of people that are now trapped by the security forces and Rakhine killer groups. 3. That the UN sends independent media to monitor the situation closely and diligently. 4. That the UN sends international humanitarian groups to Arakan State to support humanitarian work. 5. The the UN send food supply to Rohingya communities that have been trapped and starving since the violence started. 6. We also demand that the UN sends an independent and impartial inquiry commission to investigate the crime against humanity and bring the culprits to justice.